I've just started 1/400 airline collecting and posted a couple of photos in the 1/400 scale threads. In that post I mentioned I'd been building model aircraft for years, mostly US Navy birds. I thought I'd post a few photos of my builds here. Just want everyone to see, while I'm new to die-cast airliner collecting, I've been an aircraft guy for a long time. 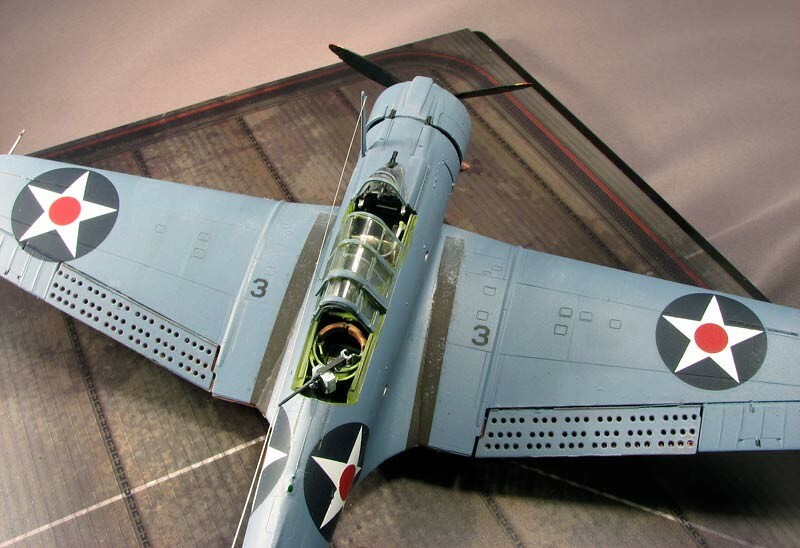 A Hasegawa 1/48th F6F Hellcat. 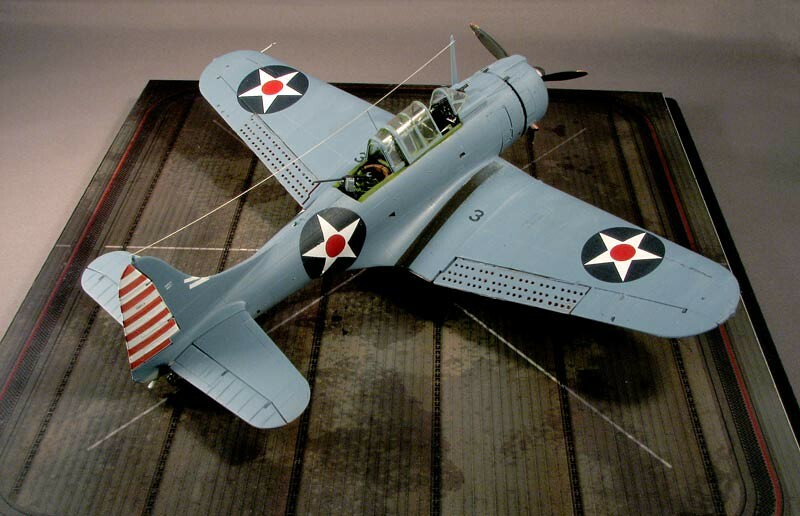 Kit was modeled after the Hellcat in this well known WW 2 Pacific USN Carrier photo. Notice the "096" roughly painted on the cowl. Grumman painted the last three digits of the a/c bureau number on each aircraft. The squadrons usually painted them out, but things were rushed aboard the USS Yorktown so the fighters went into service as delivered. 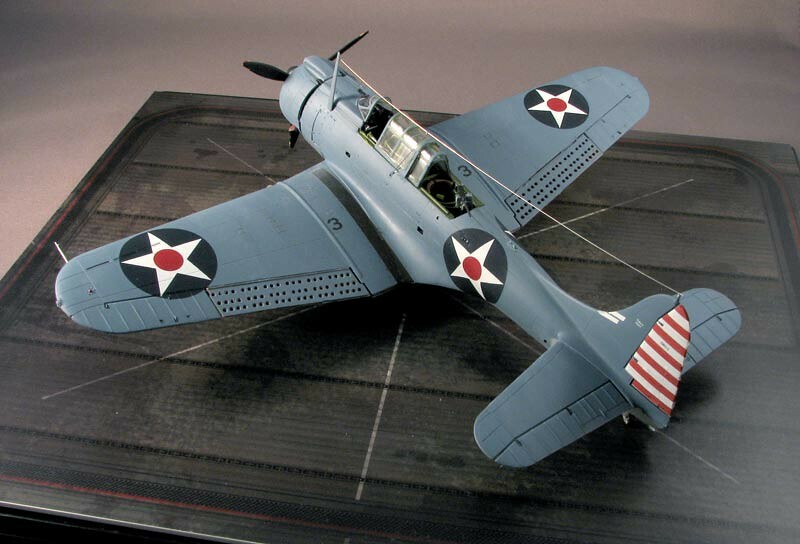 A Grumman F4F-3 Wildcat fighter. An AH-1Z Viper of the USMC for something modern. A UH-1Y Yankee USMC Huey. And so that they aren't all military, a DC-3. Last edited by vs-Admin; 09-06-2017 at 10:39 AM. Last edited by vince1159; 11-24-2016 at 04:34 AM. 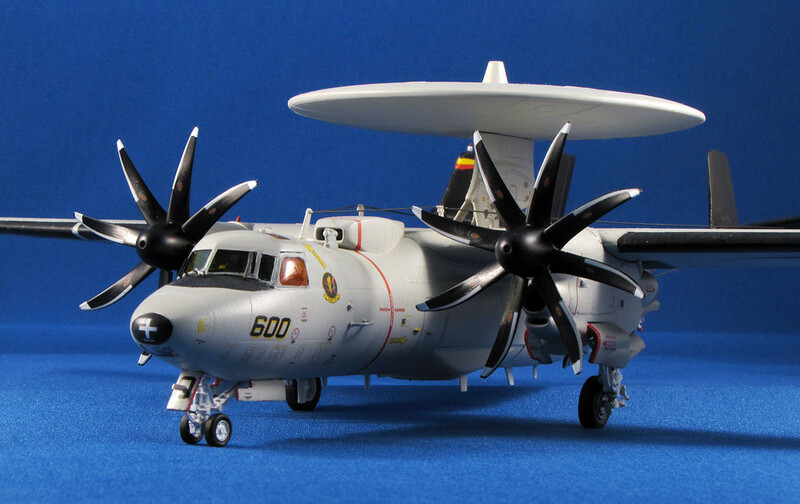 The SPAD is the 1/48th scale Eduard kit and unlike my other builds, was completely hand painted. I didn't use an airbrush at all. I thought I'd try hand painting the camo since all WW I birds tended to be hand painted anyway. Last edited by vince1159; 11-29-2016 at 03:09 PM. Very nice builds ! Well done ! Here are a few shots of my build of the Amodel 1/72nd scale Learjet 60XR. The color scheme is my own using some of the kit's decals and some slanted numbers from Draw Decals. The kit isn't an easy build. Last edited by vince1159; 04-20-2017 at 12:34 PM. My diorama! Willy White Snowflake International Airport! Please check last pages! Vince, The model was airbrushed using Model master Acryl acrylic semi-gloss black. Once the decals were applied, a couple of coats of gloss clear were added. I like using acrylics because of the lack of smell and easy clean-up. I'll use rattle cans if that's my only color choice, or if I'm painting white. I've never found a white paint, acrylic, enamel or lacquer that airbrushes well for me. Rattle can whites go on much easier. Last edited by vince1159; 04-29-2017 at 01:07 PM. I thought I'd post a few more shots of some kit builds I've done over the last 10+ years. 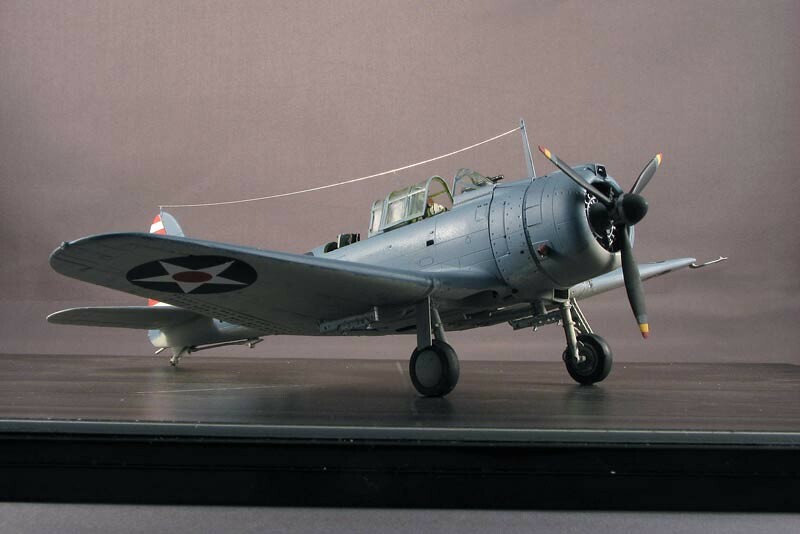 This is the Accurate Miniatures 1:48 scale SBD-3 Dauntless from the US Navy's Bombing-six squadron aboard the carrier USS Enterprise (CV 6) in 1942. Using the two different sized roundels on the wings is intentional. USN forces in the Pacific experimented with different sizes and locations of the roundels because of friendly-fire aircraft losses. They finally realized the the red disk in the star's center was being confused with Japanese aircraft's "Rising Sun" red disk roundels leading to US aircraft being misidentified. 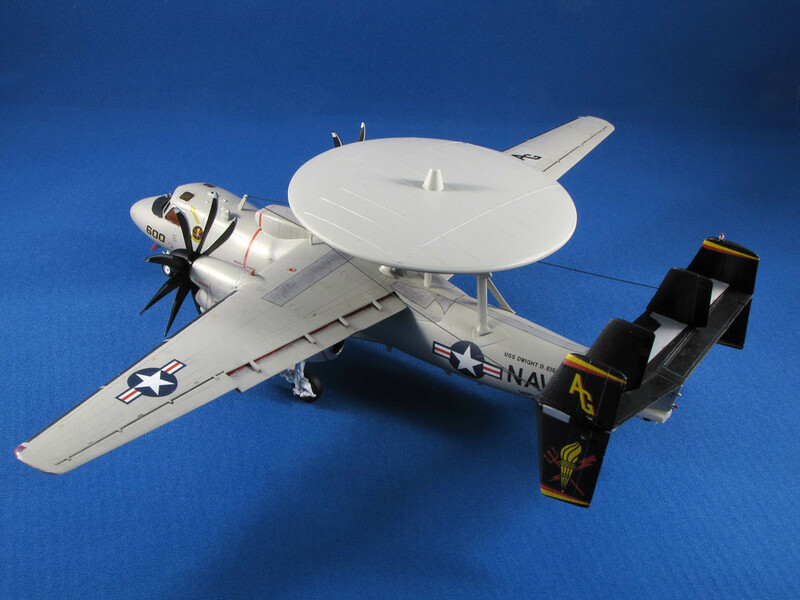 A current US Navy E-2C Hawkeye from the 1:72 scale Hasegawa kit. 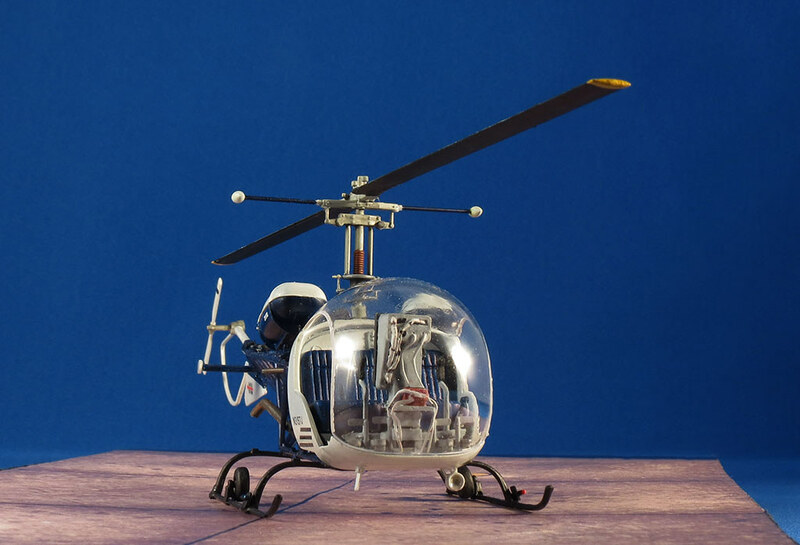 As a change-up, the 1:48 scale Italeri Bell 47 done as a restored commercial helicopter. I added control wires and cockpit electrical cables to the model. Last edited by N3424V; 09-22-2017 at 11:04 AM. It is a shame that AM went out of business (although you can still find the kits) since they were engineered so well and made wonderful projects. 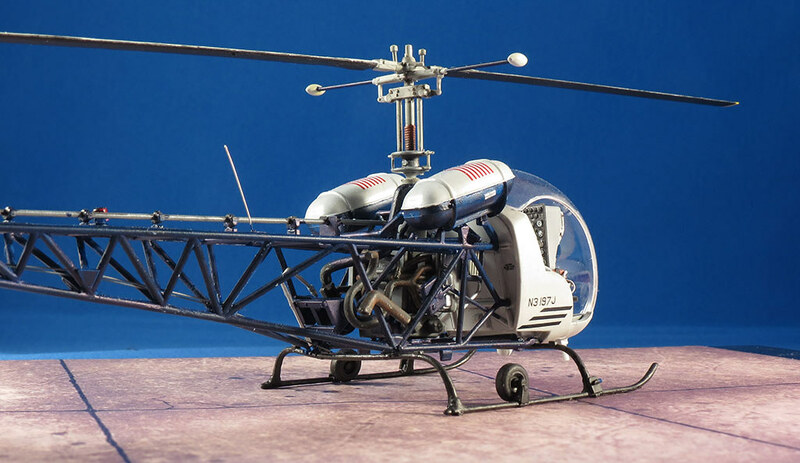 The 47 is a simple build, so I thought it needed the visible control cables running to the tail rotor and the big cockpit bubble required some electric cables running from the battery and from the back of the instrument panel. There are plenty of restored Bell 47s flying so internet reference photos bear these cable runs out. The decals are all from my spares stash and the colors were used from paints I had available. The kit is one of those you like to find that don't require lots of work and can still build up to make an attractive displayed conversation piece.